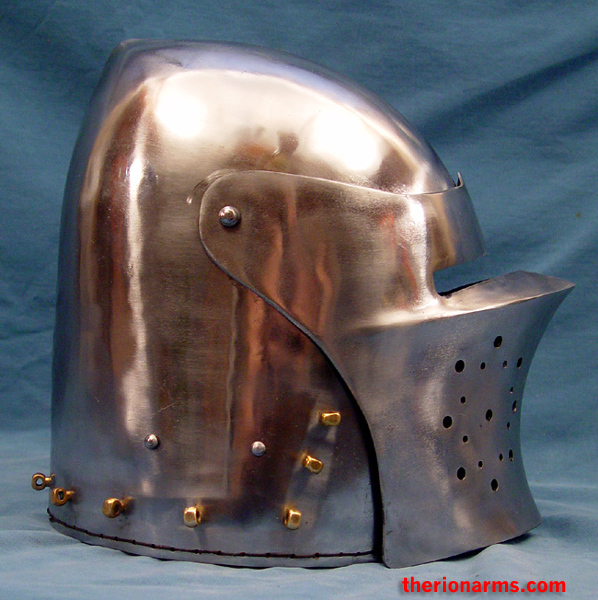 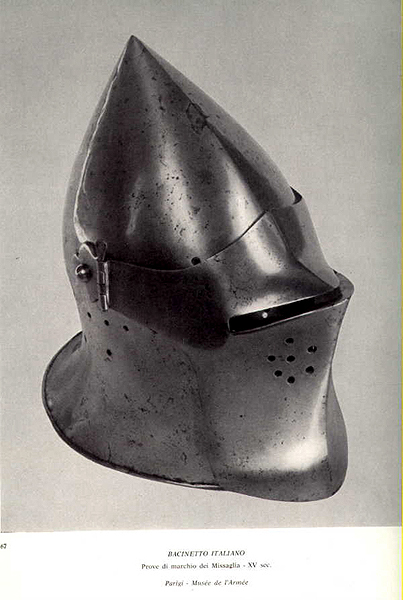 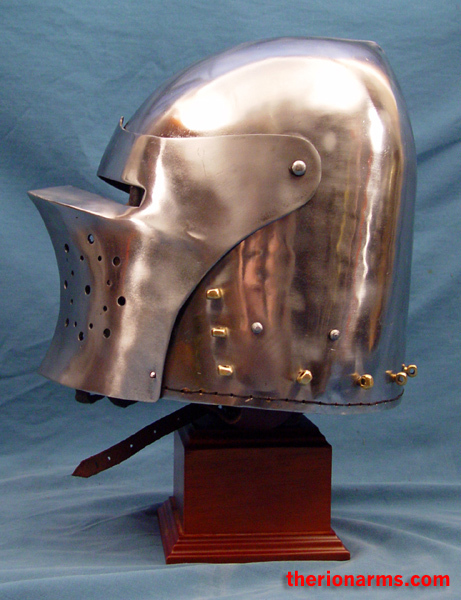 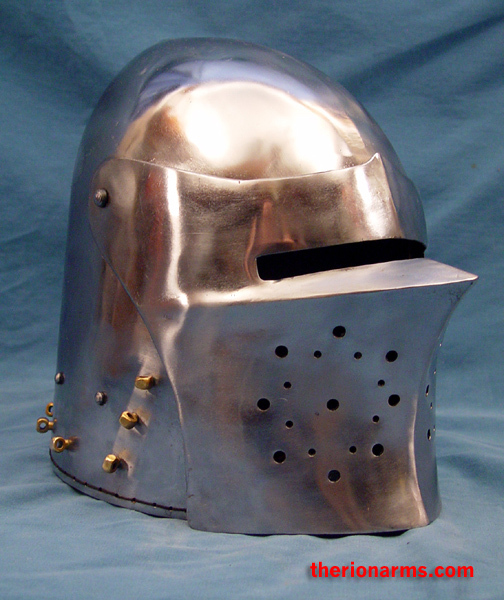 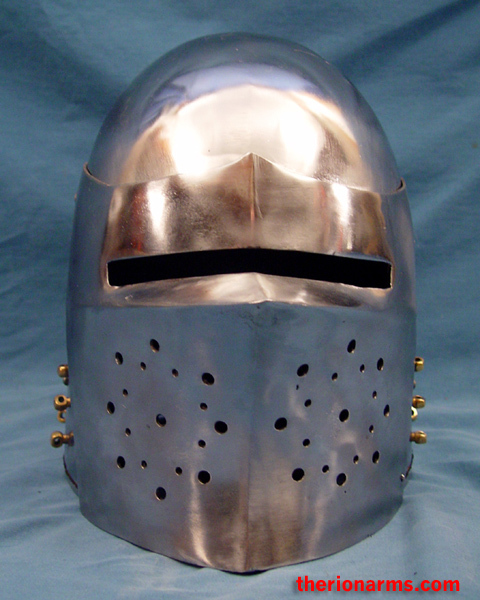 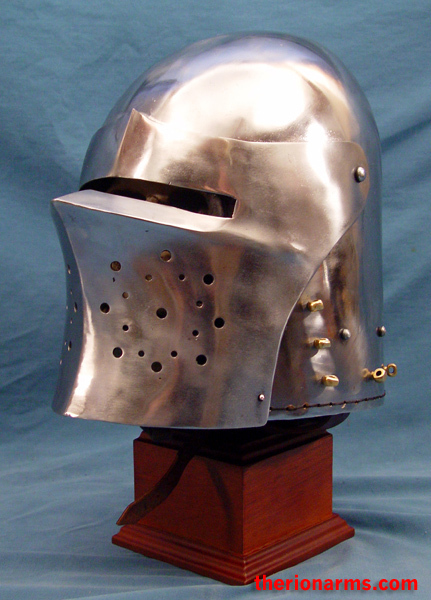 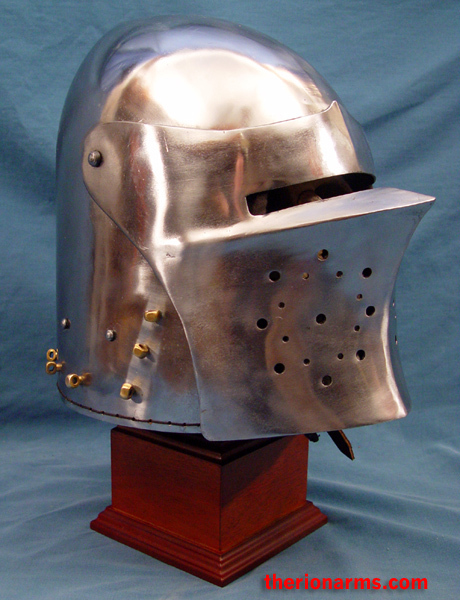 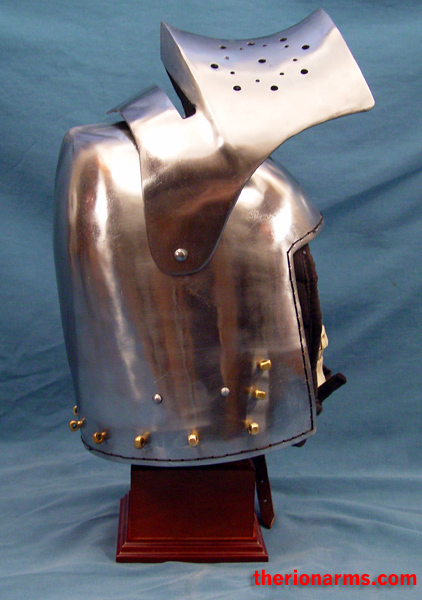 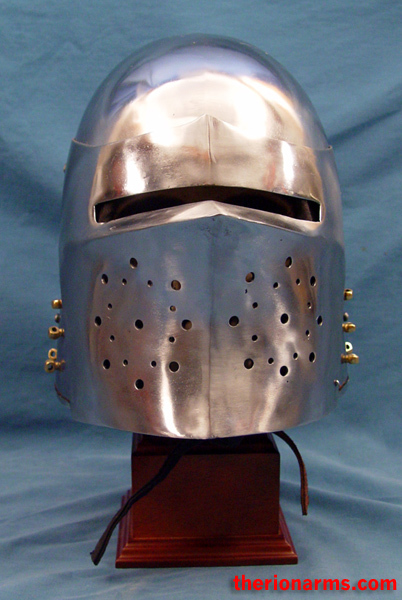 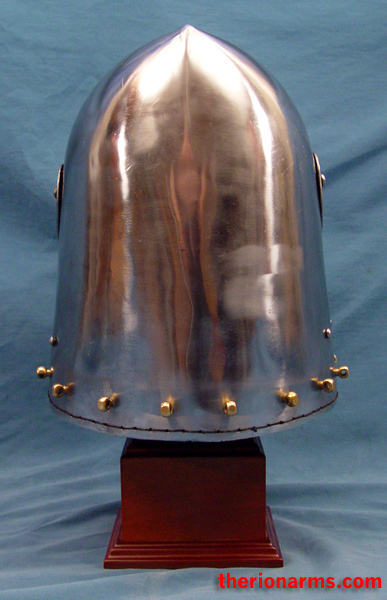 An Italian bascinet with a beaked face - reproduced in 14 gauge steel from a 15th century original in the Musee de l'Armee in Paris (catalog #H24). 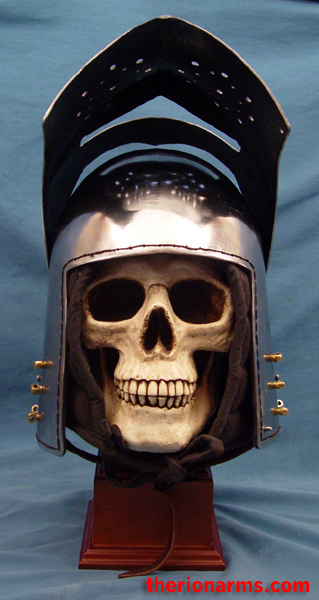 I rather like the looks of this helmet, it's not the usual houndskull or klappvisier. 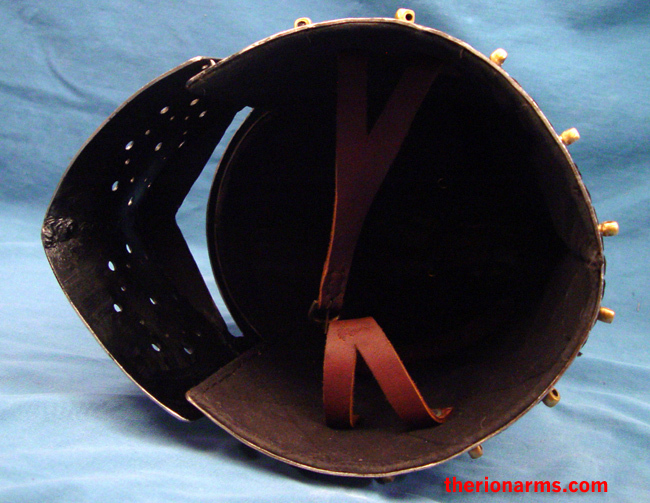 Comes with a lightly quilted inner liner and y-mount chinstrap, and vervelles for mounting an aventail. 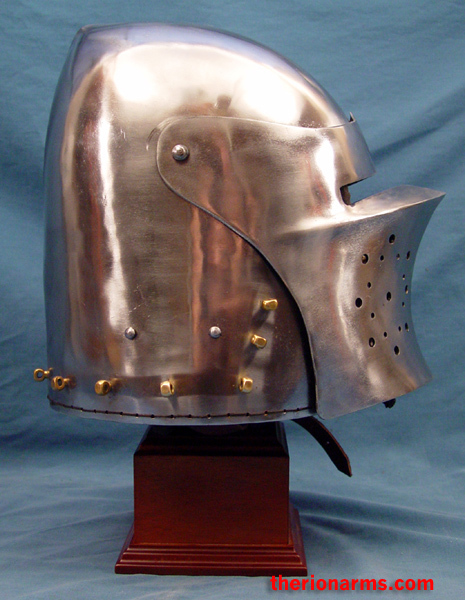 Prove di marchio dei Missaglia - XV sec. 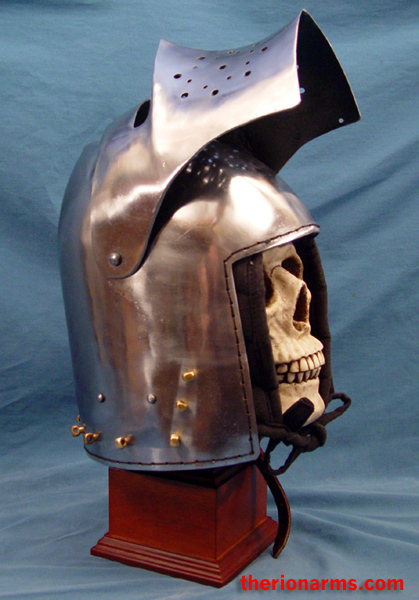 Here I am trying mine on over top of a riveted coif so that I could get an idea of what they would look like / how they would protect with an aventail. 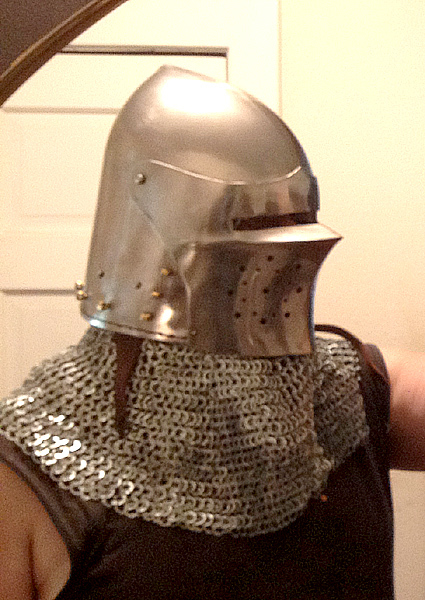 Despite the temptations of the beak, I was not making ducklips for this awkward mirror photograph.